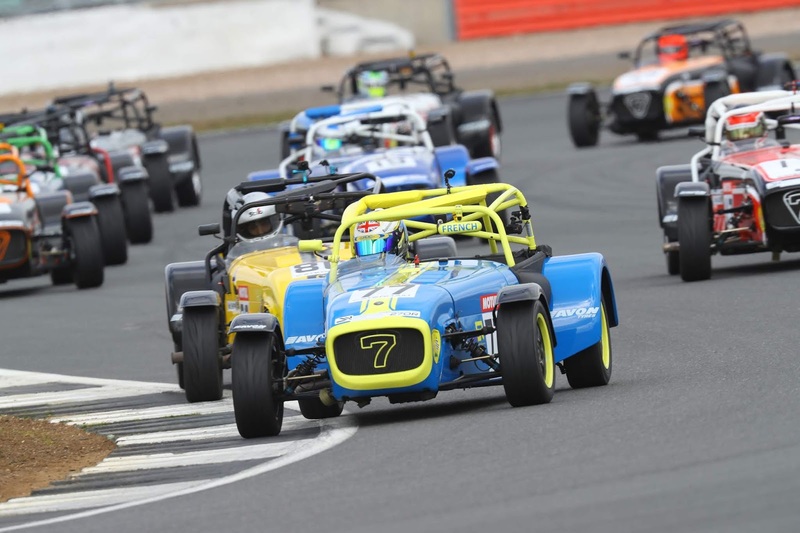 ...Nevertheless the 2019 Caterham 270R racing season started last weekend at Silverstone National Circuit. As is often the case at Silverstone there was only one test day on the friday before, but there was a great endurance race a few weekends prior which most competitors (myself included) attended. I'll keep this short and sweet - I qualified in 3rd place only half a tenth off pole, which I was happy with. As always I try to make some sort of race plan which usually goes out of the window as soon as the red lights go out! But... the plan was to get a good start, stay out of trouble, make a break away, and bag some decent points. It all started out well... I got into P1 and managed to get a couple of opportunities to break away, but just couldn’t quite break the tow (slipstream), and funnily enough Silverstone is classified as being in 'Towcester' which I think I'll rename to 'TowFester' as I think that's quite a good analogy, as this race weekend was a complete Tow Fest..! I dropped down to 10th at one point, fought my way back up to finish 4th one tenth behind the photo finish of Matt Sheppard (P1), Justin Heap (P2) and James Murphy (P3). Having finished race one in 4th, this decided my grid position for race two. Like the previous day the race plan was to get a good start, stay out of trouble, and bag some decent points. And once again in the holding area before the race, there was a nice picture taken by the snappy racers team - this time one of the MOTUL guys (the title sponsors of our championship) taking a liking to my 'named mirror'. 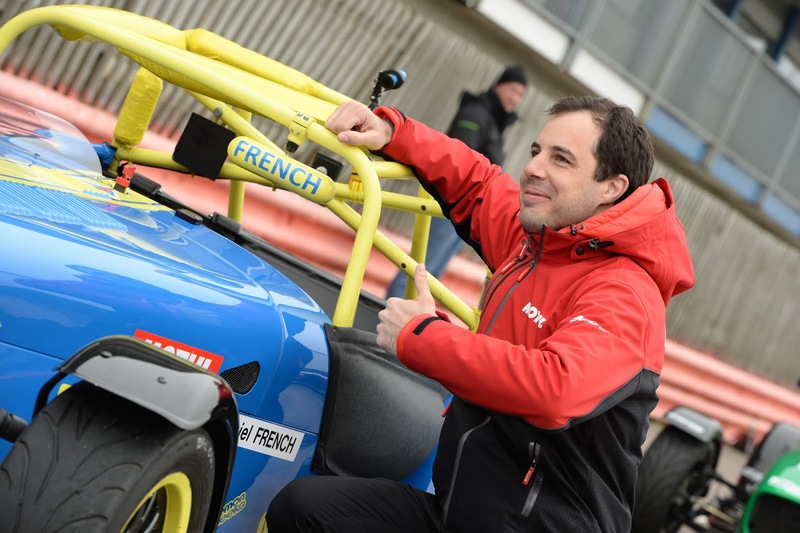 The Motul Sponsors (being a FRENCH company) took a liking to my mirror! So on a results based summary this was a disappointing weekend. However, my pace was good, I led both races and on a different circuit I think I would've been able to make a break away, so overall I'm pleased. I'm not so pleased that my 2nd race of the season will be a 'drop score' which could make things a little more difficult later on in the championship. 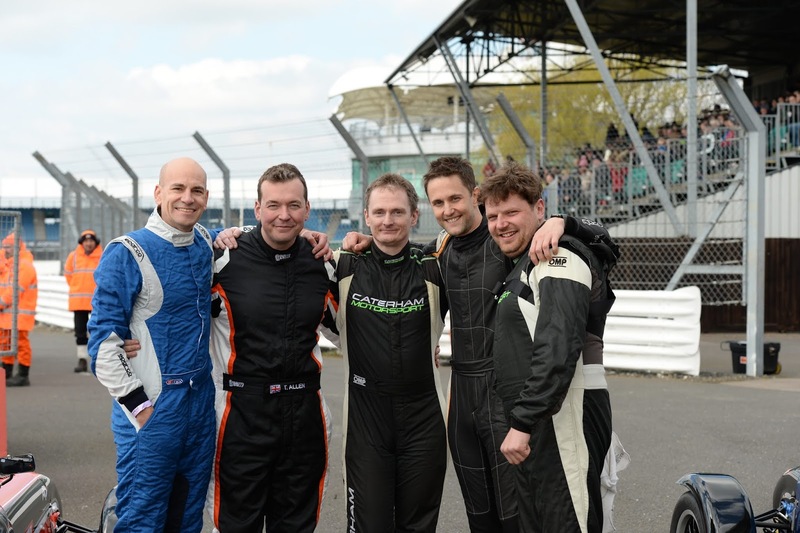 On a 'fun factor' based summary, an absolute quality weekend, great close racing and spending time with like minded friends! Roll on round two which is at Croft Circuit on 4th and 5th May 2019. Feel free to come and say hi if you're coming to watch.